Staff at McCain in Scarborough are facing possible redundancy after a decision was made to outsource the company's cold store requirements. The company confirmed that 74 staff who work in the cold store will be affected by the changes and that they are offering them one-to-one support. It is hoped that redundancies will be minimised by re-deploying staff within the business. A spokesperson said: "The recent consultation held at McCain Foods with its Scarborough Stores colleagues has now concluded and the proposal to outsource the Company’s cold store requirements has been accepted. "McCain Foods continues to work closely with all affected employees to support them during this difficult time and to ensure they receive the right professional advice and guidance. "A broad range of options, including re-employment within the business, are being considered to ensure a minimal number of unavoidable redundancies. "The outcome of the consultation provides an opportunity for the Company to consider alternative uses for the available space at its Scarborough site." Corporate Affairs Director for McCain, Bill Bartlett says: “Established in Eastfield almost 50 years ago, the McCain Foods Scarborough facility is one of the Company’s most successful sites. 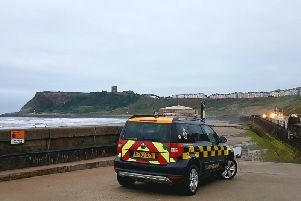 “As the largest private employer in Scarborough and partner to many suppliers and community organisations in the area, we’re dedicated to our operations here. “As popularity for our products continues to grow, the McCain Foods Scarborough site remains key to our business in the long-term. “To ensure the continued success of our Scarborough operations over the coming decades, McCain Foods is looking to invest in the renewal of the Scarborough facility. A drop-in open evening will be held at the McCain Foods’ John Young Conference Centre, Church Lane, Cayton, on Thursday March 9, between 6pm to 7.30pm, where the company will share details of their renewal plans.